The realm of music today revolves heavily around genres such as pop and hip-hop, which easily overshadow genres such as Indie Rock. 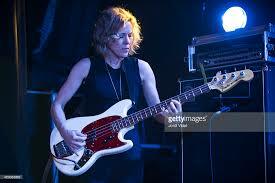 So when Indie Rock artist Britta Phillips released her first solo album, “Luck or Magic,” yesterday on April 29, it was no surprise that it was overshadowed by the likes of other artists who released on the same day, such as Drake’s “Views.” This, however, still does not change the fact that Phillips’ latest album is a very pleasant alternative to the norm in today’s mainstream pop. As a millennial who is thoroughly accustomed to today’s mainstream and has never stepped foot into the Indie Rock genre, listening to Phillip’s album was quite a different experience. The first thing that stood out to me was the different vibe of the music. Indie Rock is truly an exotic genre of music, and this is beautifully depicted through the elegance that seems to flow throughout the album’s soundtrack. All of the album’s songs seem to flow into the next beautifully. The other aspect of the album which stood out to me was Phillip’s unique voice. Today’s mainstream singing voices can commonly be described as upbeat and jovial. Phillip’s vocals, on the other hand, are extremely unique like in “Luck or Magic.” Her voice is warm, peaceful and serene. It is almost as if her voice is meant to help people relax in stressful situations. Phillip’s vocals, coupled with the pleasant flow of the album’s soundtrack, are a work of art which was a privilege to experience. Overall, “Luck or Magic” was truly an eye-opening album for me. Listening to such a different genre of music was the best part of my experience with this album. I never expected that there would be a genre of music which would come close to today’s catchy, bubblegum pop mainstream. I stand corrected. It was truly a remarkable experience listening to this album, and I can honestly say that the overall quality of this album was surely a pleasant surprise. What are your thoughts on the Indie Rock genre? Let us know in the comments below.